MY FIRST HURTIGRUTE up close!!!! Welcome and so great to see you post HERE in Hurtigruten territory E! Vesterålen up close!!!!! Lucky girl, because you had already seen her more distantly passing Finnmarken southbound near Honningsvåg. 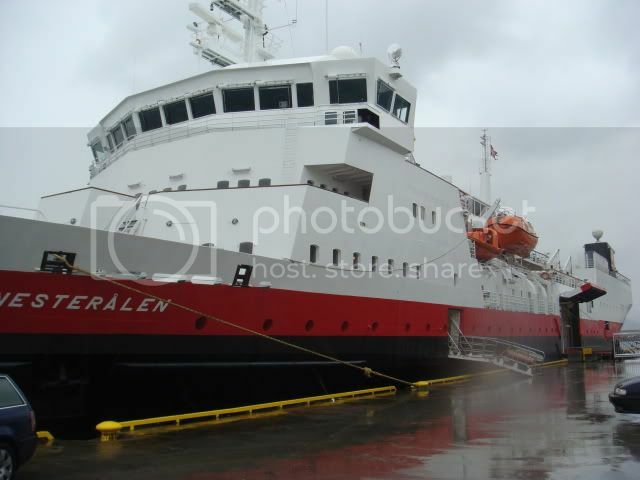 While you were up in Svalbard she’d got back to Bergen on the 19th, and was northbound to Ålesund next day ready to see you again!
. 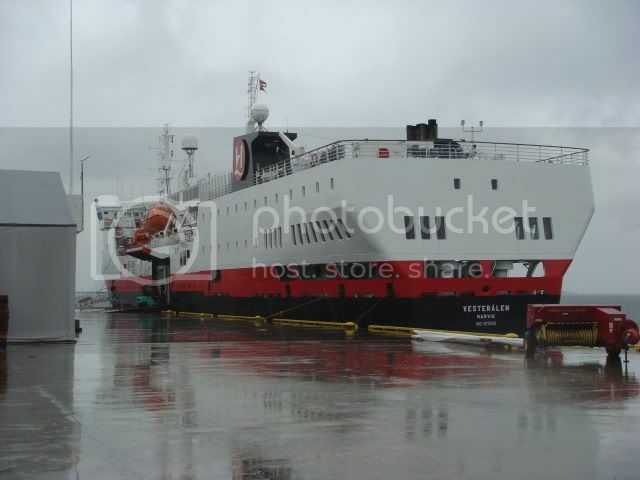 . . yes indeed, and you can see that mine works in a Hurtigruten timetable sort of way . . .
and perhaps E you are now perhaps beginning to realise why it isn't an embarrassed smiley I put after that! You have GOT to come hurtigruting with me soon . . .
Oh, another thought, I’m not through reading all the last couple of days interesting-looking posts yet, so maybe still a chance, but so far I haven’t come across your first utterance in Norwegian following these classes you mention . . .